Madame Tussauds provides a multi sensory experience which transports you to a new world, a world that is truly ‘Fantastical’. Madame Tussauds is famous for making the most incredibly lifelike wax figures. Creating wax figures is an intricate process that involves many talented artists and can take six months to complete. 1884 – Journey started from Baker Street, London. 1999 – The first American Madame Tussauds opens in Las Vegas. 2000 – The second American Madame Tussauds attraction opens in New York. 2006 – Madame Tussauds opens in Shanghai. 2009 – The fourth American site opens in Hollywood. 2012 – G’day! Madame Tusaauds arrives Down under in Sydney. 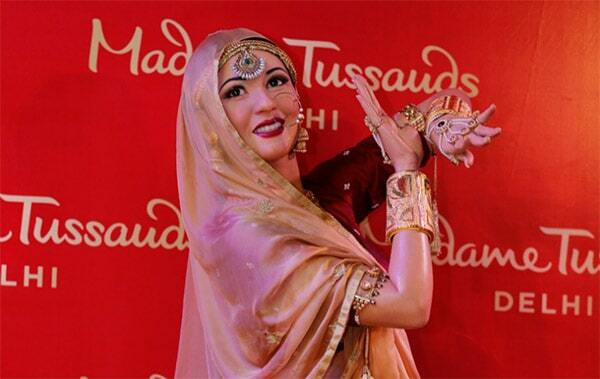 2017 – The first India Madame Tussauds opens in Delhi. They meet with the celebrity in person, and take hundreds of photographs and measurements so that they can replicate all of their details perfectly. They also take a hand cast, and match hair and eye samples. If they’re unable to meet them or if the celebrity is deceased, a team of researchers spend weeks sourcing photos and footage so that they can capture their exact look to sculpt the figure. Firstly, a skeleton is created from metal tubing and wire. Then, the expert sculptors use 150 ks of clay to painstakingly replicate the celebrity’s head and body using traditional sculpting techniques. Not just these!! they are lot more figures to be explored inside. It is not an exhaustive list. You may book your tickets online as well. ← Kuldhara : My journey to the cursed and haunted village of Jaisalmer.